A 28-year-old man has been arrested in connection with the July fatal shooting of an economics professor in San Jose, police said Thursday. 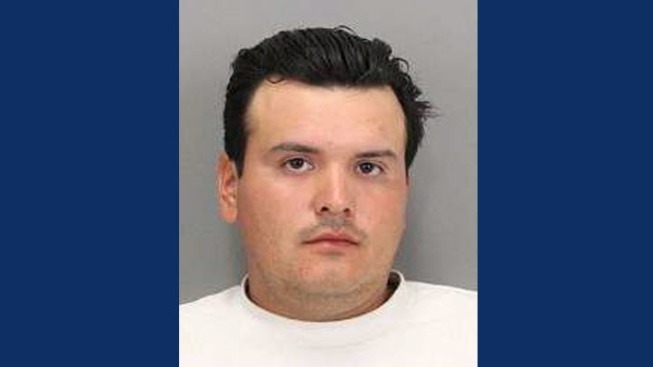 Eddie Ruiz, a San Jose resident, is suspected of gunning down 37-year-old David Moglen at Willow and First streets on July 28. Police say the victim was found with at least one gunshot wound shortly after 10 p.m. and was pronounced dead at the scene. In September, police released photos and surveillance video of a man seen walking in the area around the time Moglen was fatally shot, police said. A follow-up investigation led detectives to identify Ruiz as a suspect in Moglen's death. They took him into custody on Oct. 7 in Los Altos Hills, and booked him into Santa Clara County Jail, according to police. Ruiz faces charges that include murder and attempted robbery, police said. A motive for the shooting remains unclear. Moglen, of San Jose, was an economics instructor at Evergreen Valley College in San Jose and Foothill College in Los Altos Hills since 2004, according to his LinkedIn profile. Moglen was also a teacher at De Anza College in 2005 and Mission College in Santa Clara from 2001 to 2005, according to the profile. The death was the city's 29th homicide this year, police said. Anyone with information on the case is asked to call police Detective Brian McDonald or Detective Wayne Smith at (408) 277-5283. Those who wish to remain anonymous may call Silicon Valley Crime Stoppers at (408) 947-7867.